In May 1968, a general strike and urban protests nearly toppled the government of Senegal’s first president (and renowned poet) Léopold Senghor. Although the uprising was driven by tensions that had been building within Senegalese society since the end of French colonial rule in 1960, it was also closely connected to other mass movements that exploded around the world in 1968. 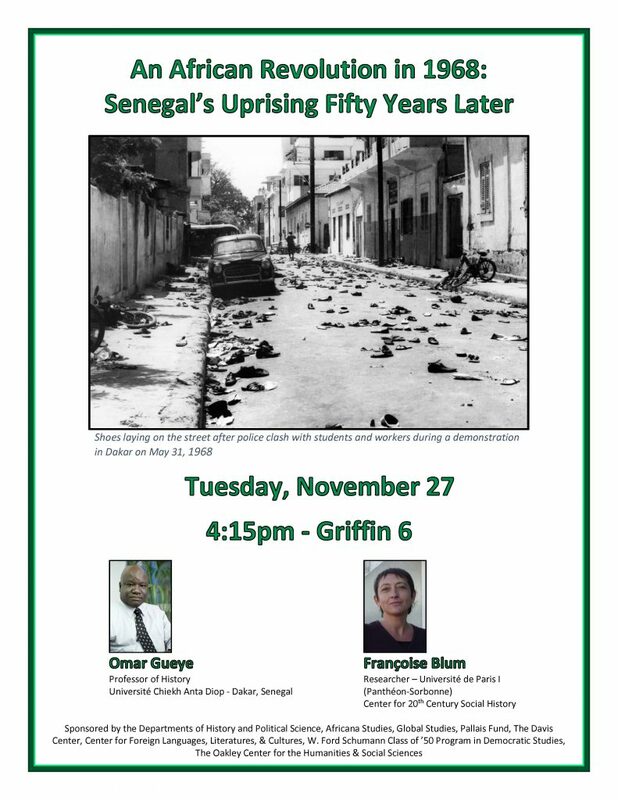 On the fiftieth anniversary of the strike, this panel brings together two scholars from Senegal and France to discuss how young West Africans defined liberation through their involvement in global Pan African, Third World, and Marxist networks. 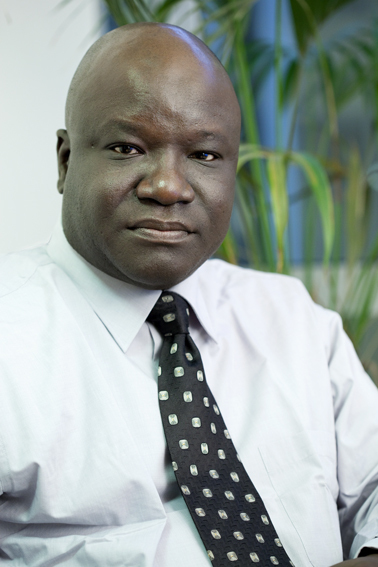 Omar Gueye is Professor of History at the Université Chiekh Anta Diop in Dakar, Senegal, and has twice been a fellow at the Weatherhead Center for International Affairs at Harvard University. His most recent book is Mai 68 au Sénégal: Senghor face aux étudiants et au mouvement syndical (2017). 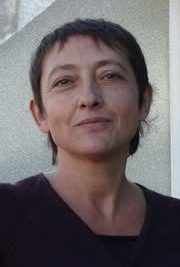 Françoise Blum is a researcher at the Université de Paris I (Panthéon-Sorbonne) in the Center for Twentieth Century Social History and author of Révolutions africaines: Congo-Brazzaville, Sénégal, Madagascar, années 60s-70s (2014). This event is sponsored by the Departments of History and Political Science, Africana Studies, Global Studies, Pallais Fund, The Davis Center, Center for Foreign Languages, Literatures & Cultures, W. Ford Schumann Class of ’50 Program in Democratic Studies, The Oakley Center for the Humanities & Social Sciences.